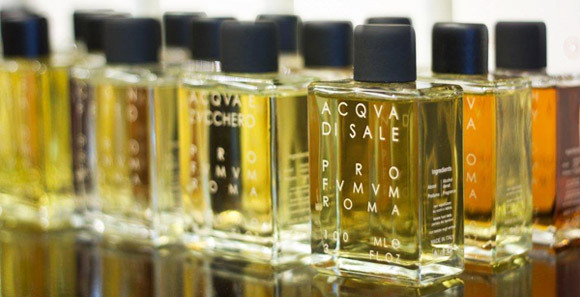 I always ignored Profumum Roma when in a perfume store for the simple reason that there were just too many bottles. Thirty identical flacons in a row – too intimidating, too much effort needed, too easy to pass up in favor of other things seemingly more accessible. A lovely reader (Thank you, Isabeau!) has done the work of plowing through the line for me and sent me samples of the cream of the crop, so to speak. I loved going through these samples as each and everyone has some appeal and if my monetary situation were (a lot) different, I’d buy at least three of them. Bright, creamy orange on top of delectably soft, but potent vanilla – this is a simple, but gorgeous mixture that is unabashedly gourmand, unapologetically decadent and therefore undoubtedly irrestisible. A huge hit with the 3-6 year old set, Dulcis in Fundo reminds me strongly of Guerlain Gourmand Coquin of which I own a bottle, so I’m all set in the sweets department. Flügelschlag – the flutter of wings. For once I love the German word more, because it manages to convey in one compact little word what it takes the English four, the Italians three to say. Battito d’Ali, aside from the adorable name, is a lovely warm and cosy vanilla scent accented by cocoa powder, orange blossom and myrrh. It is delicate, tender, but has a definite presence. It is enveloping, but never smothers, it is warming, but not stifling. Soft, but tenacious. 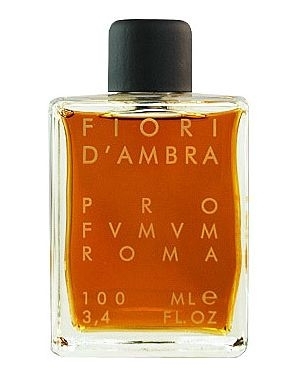 A very soft and understated amber, Fiori d’Ambra opens spicy and softens into a warm vanilla-leaning amber accord. It lasts very well, but is not big on sillage. As ambers go, this one is of the tender, very wearable variety, not a killer amber like it’s cousin Ambra Aurea, which I find a bit hard to take – beautiful, but heavy. 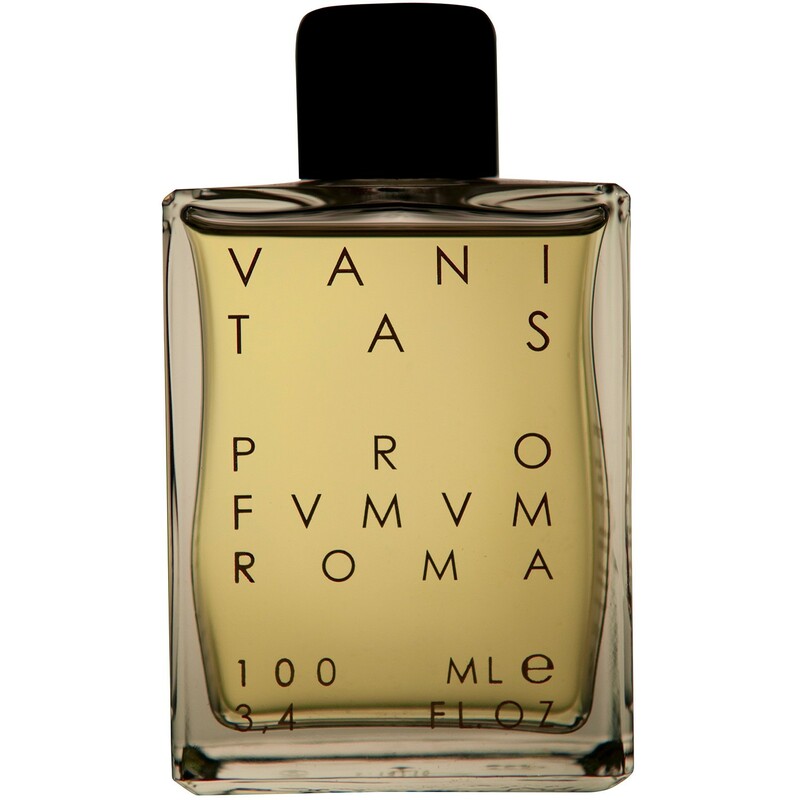 Vanitas is another vanilla scent in Profumum’s line up. They sure love their gourmands. This one pairs vanilla with myrrh, giving the scent a cool resinous vibe in the beginning that is only slowly getting warmer and sweeter over time before giving in to full on vanilla about a half hour into its development. Vanitas is rich, very much so. It is too frothy, whipped and white for my idea of a vanilla scent, but I cannot deny that it smells good. It is rich and has depth, even if I wouldn’t wear it, smelling it now and again is a very restorative experience. Vanitas has the soothing powers of an experienced nanny. To smell it is like a good hug when you need it and then, when all is well again, you run away to play. Interestingly enough it is very similar in the drydown to another Guerlain, Myrrhe et Délires, that I compared to an innocent child in my review. So we now have child and nanny happily united in these two perfumes. A marshmallow scent that is tooth-achingly sweet. Very similar to Kilian’s Love but even more sweet and sugary, if that is possible. It feels like living in a cloud of spun sugar. A bit much for me and more of a novel experience than a wearable fragrance. But still – well made and lasting forever and a day. That is hard to resist, isn’t it? My experience with Alba was interesting to say the least, and warrants a deeper exploration for sure, but I still wanted to mention it now. It opened with a horrible accord of old pleather in the sunshine, motor oil and the general idea of riding on a very old bus, feeling nauseous. Now that I didn’t expect after reading the above. Did you? What about your experiences with Profumum Roma? What are your favorites? What do you think of the line in general? This entry was posted in Floral, Fragrance Reviews, Gourmand, Orange Blossom, Oriental, Profumum, Vanilla and tagged Amber, floral, Fragrance, Gourmand, Orange Blossom, Oriental, Perfume, Profumum Roma, Review, Vanilla. Bookmark the permalink. Flügelschlag – keep that one for the name of your first creative directorship of a perfume. And unscrubbable – isn’t it always the case? Perfume do not scrub off when you need them to. Great to read these comparatives within the line. It turned out to be a god thing that Alba didn’t come off, it smelled great after an hour. The only one that I have tried is the amber one but at the time I hated amber and this was no exception so I gave (I know I know) the decant away. I would probably love it now. From your reviews on the other ones, there wouldn’t be one there that I would rush out to try, maybe next time I am passing them in Harrods I might give the line some more of my time. Hi Birgit, I’ve only tried Rosae Mundi and I LOVE IT! It’s been one of my few love at first sniffs. So it is on my ‘to buy’ list, but $260. Hmph. Have you tried this one? I have a sample of this too I believe, will try it tonight. Thanks for the tip, I’m excited! i have not tried any of them, which is really inexcusable since i live in italy! dulcis in fundo sounds delicious, though. This is a great line. 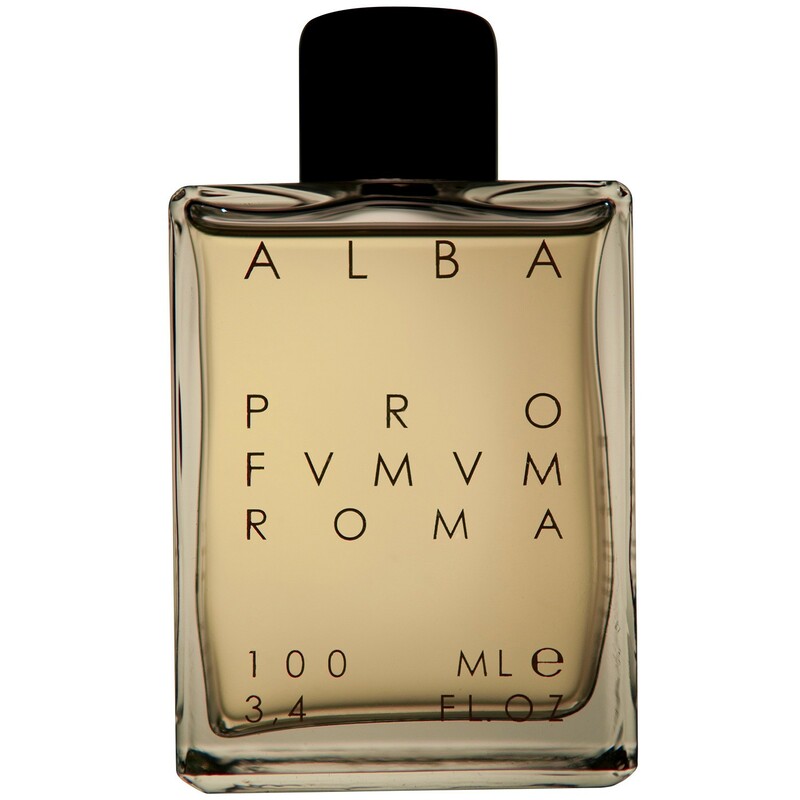 My favourites are Ambra Aurea + Olibanum. I am fairly sure that you can get the whole range in 30ml bottles at their store in Rome. Thanks for the info though, maybe I’ll find a Rome mule (Ines? Suz? Asali?). I emailed PROFUMUM and was told that since August they have been selling 18ml bottles at 45 euros each. That is excellent, thank you Chris! Did they mention whether these small bottles would be available in stores and online too or just in their Rome shop? At the moment, they are only available at their flagship stores in Italy. I discovered Profumum thanks to your blog and Profumeria Al Sacro Cuore in Bologna which I visited following your description — indeed very lovely Profumeria, where among other things i tried first time Profumum thanks to patience of their SA and her advice to try Ishnusa (as i was interested in a figue scent).. NowI am a big fan of Ishnusa (bitter figue) and Acqua Viva (lemon and cedar wood). 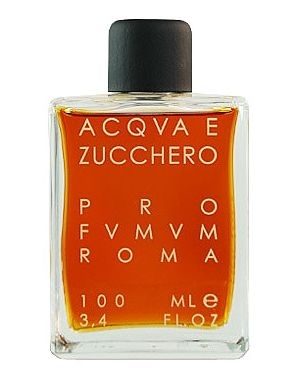 Acqua Viva is really a mood enhancing frag for a rainy day. From their sweet department I appreciate only Vanitas (all others I find rather too sweet… and rather boring). Thanks for your take on the line, snobbycactus! I will try your recommendations. I’m glad you found Sacro Cuore after reading about it here, such a lovely sales team there! So glad you are giving this wonderful line some coverage! I tested these extensively on my last visit to Osswald in NYC after trying a couple from samples and reading wonderful reviews from Kafka of the two ambers. I was on a hunt for a wonderful almond or gardenia scent at the time and this line certainly has a lot of choices in the almond category! So many that it was really too difficult to chose and then I ended up buying Volo AZ 686 (named after an Al Italia flight). A truly unique mix of vanilla, coconut and gardenia. Not for the faint of heart but, I get a lot of compliments when I wear it. As you say, the longevity and sillage of these is enormous so, a 100 mL bottle is a lot ! Also, it was explained to me that these have approximately 40% concentration – 20% fragrance, 20% a musk oil and the rest alcohol. This is what gives them their very viscous oily appearance and what helps them wear for so long. – Ambra Avrea – Beautiful ambre and very strong and spicy. – Confetto – Sweet Turkish Delight! – Dolce Acqua – Almond Marzapan – delicious! – Tuberosa – Extremely indolic! – Dulcis in Fundo – More Turkish Delight! And yes, similar to Guerlain’s Gourmand Coquin with more almond. And if anyone in the US wants to try these, I just found out that Osswald will make you 10 samples (not just of this line but, from what they carry at the store) for $10 shipped within the US – what a deal!!! This is only available if you call the store though – not online. I do love how these come with a screw on cap plus separate atomizer and also a 5mL refillable travel bottle and funnel in the box. Okay, I am sounding like a salesperson now! No affiliation, I just love the line! thanks so much for adding your mini-reviews! I love them! 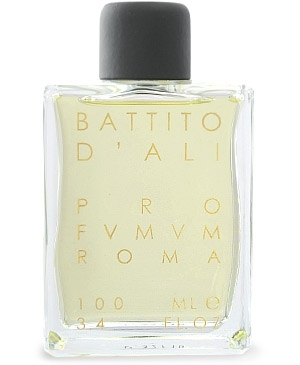 I really like Profvmvm Roma, it’s very good but understated and neglected perfume house. I especially like Fiore d’Ambra and Rosae Mundi. Plus Acqua Viva which is a super long lasting cousin of Eau d’Hadrien from Annick Goutal. Good to hear you enjoy them too, Lukas. I have fallen for FIORE DI AMBRA but the sillage is really very weak on me, what a pity for such a strong concentration…….. but beautiful scent. The only one that I have and love is Ninfea. Will have to explore the line in depth now. You are a temptress! I’ve never tried anything for this line so I was very grateful foryour mini reviews. I really like the sound of Battito d’Ali. Looking forward to hearing more on your experience of Alba. Most odd! I’m glad you enjoyed hearing about Profumum. I remember trekking the streets of Rome looking for the store… I bought Alba, but could have come home with many others if they came in smaller sizes. I guess I like the sweet comfort scents. The small roller ball went to my sister, there is plenty to go around! I did! Thanks again for your generosity! Now I have all the others to work my way through, fun! I’ve heard a lot about this line but I have not tried any fragrance. I would be interested in ARSO and Ambra Aurea. Oh, wonderful mini reviews, Birgit. The one that sounds the most intriguing to me is Battito d’Ali. One thing very nice about the 100 ml bottle is that it comes with a very nice metal funnel and a small travel size bottle for you to decant the scent into. This really surprised and impressed me – that a perfume company actually realized that someone might want to decant their large bottle into a smaller one for travel. I owned a bottle of Acqua Viva (now gone) – quite beautiful with its extremely concentrated yet natural lemon accord. And I also bought a complex fig scent called D’Ambrosia, but that one I hardly wear anymore. It’s beautiful but has a strange note that smells sort of like Aqua Net hairspray, sort of like leather … and it eventually vamooses, but I don’t like waiting until it does. Similar to what you said about Alba. I’ve read the hairspray complaint in many reviews on the big forums. Strange (and a bit unsettling). Have fun in their store! A lot of these have piqued my interest both now and in the past, but I have unfortunately not had an opportunity to give any a test. Actually, I have a sample of D’Ambrosia that I need to try. I hope you enjoy your sample of D’Ambrosia. Let us know what you think! That’s sweet of you! I hope you get the chance. Arso is my favourite, so far. I find it absolutely stunning. No bottle yet, though. So funny to read about Sacro Cuore in Bologna on the blog, I was there this summer (twice, as our holiday both started AND ended in Bologna) Lovely city, btw,beautiful, andt with a relaxed vibe to it).Loved the Profumeria and their welcoming and wonderful staff. Bologna is a beautiful city, I like it a lot. 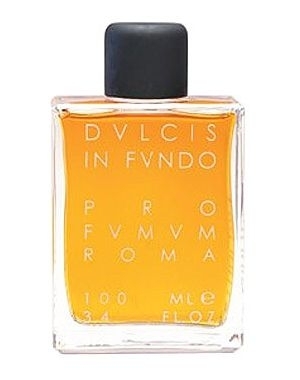 I haven’t tired anything from Profumum Roma yet, but I’m very into everything that includes vanilla. I liked the “driving in an old bus” note description. It really made me laugh and I could pretty much get the scent in my mind. ;-). Vanilla fans will be happy with Profumum, they have a great selection of delectable gourmands. Dulcis in Fundo was a revelation to me. Up until the moment I smelled that, I believed that A) I wasn’t a huge fan of fragrance; and B) “It smells pretty good and doesn’t annoy me” was as good as it would ever get–and frankly a nice lavender body lotion after a shower served that purpose just fine. My first sniff of Dulcis in Fundo had me gasping, “oh god,” and exhaling quickly so that I could smell my arm again. I wanted to rub my face in it all day long. I had no idea. Since that moment (about 10 days ago) I’ve tried a dozen other vanillas, and an equal number of other Profumums, to see if anything else comes close before I invest in a full bottle. Nothing does. What a beautiful story! Welcome to Perfumeland, Moonlocks! I’m happy that Dulcis in Fundo had such a profound effect on you. Have fun exploring all the great perfumes out there! I tried only Fiori d’Ambra so far and liked it. Had they been available in those smaller bottles here I would have probably added it to the collection. You are very welcome, Undina. I was generally surprised by the quality of the perfumes in the line. Great! I’m happy for you!